Some places are so beautiful that no word can describe it. 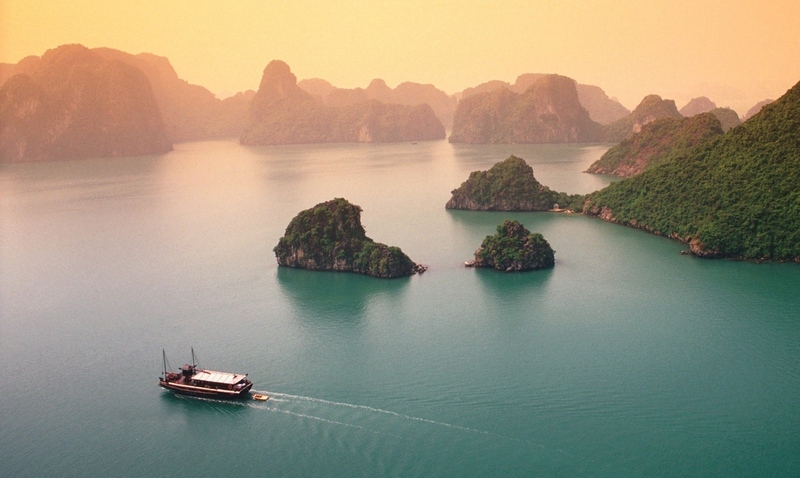 Ha Long Bay, Vietnam, is one of these. Fortunately, photography does exist, and that’s why we share those amazing pictures with you. Lucky people who visited this bay! Just amazing mountains plunging dizzily right into the sea. Beautiful, cute little beaches hidden between rock walls. Quiet and peaceful life at the rhythm of the silently whizzing junk ships. Definitely one the most beautiful places in the world. Must be visited.